THE British Flat jockeys’ title is set for a new look, with a radical shake-up of the dates of the championship expected to be announced in the next few days.Instead of running from March to November, it is understood the championship will now start on Guineas weekend at Newmarket and finish on Qipco British Champions Day at Ascot in October, a contentious move that is sure to divide opinion. Great British Racing has been looking to make changes to racing’s championships for some time and the modifications will mean the Flat jockeys’ title will reach its climax at the same time the whole season is meant to come to a crescendo. 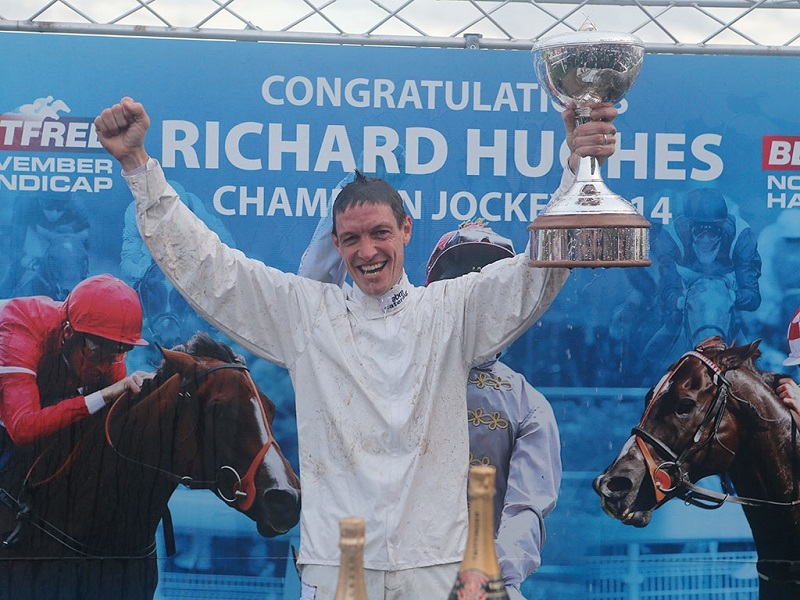 However, it will also mean fixtures such as the Betway Lincoln meeting at Doncaster and the Craven meeting at Newmarket at the start of the Flat turf season, and the Racing Post Trophy and Betfred November Handicap at Doncaster at the end of the campaign, will not be part of the new championship.And it also brings a new challenge for Richard Hughes, who has won the title for the past three seasons and will be retiring at the end of next term. Jockeys are understood to have supported the changes, and there will also be a prize for the most wins in a calendar year. Finding agreement from trainers, though, has proved impossible for now and their championship is set to continue to run from November to November, finishing at Doncaster on the last day of the turf season. Despite the lack of co-ordination between the two it is understood that it was felt best to proceed with the jockeys’ title alterations rather than wait for agreement. The changes will also apply just to the Flat season for now, but Tony McCoy’s retirement may mean a similar format could be applied to the jumps season. While the possibility of McCoy amassing record-breaking seasonal totals over a 12-month campaign remained, there was little prospect of a shorter jumps championship. But with the perennial champion jockey set to end his illustrious career in the next few weeks that could now change. A jump jockeys’ championship running from the first Cheltenham meeting of the season in October to the Sandown finale in April would dovetail with the Flat equivalent and remove the overlap between the two that exists at the moment. The boundaries of the Flat season have been the subject of discussion for many years, with the view expressed by some that the campaign stutters at the beginning in March and lacks a sufficient sense of occasion at its end in November. THE biggest surprise about the change to the jockeys’ title parameters is probably that it has taken this long to happen. After the inauguration of Champions Day in 2010 it was more a question of when rather than if. But the subject is one that prompts strong reactions. Some would have it that all-weather meetings during the turf season should not count. Others argue it does not make sense that the title is not on a January 1 to December 31 basis. Some would rather prize-money be the determining factor, not winners. The trainers’ title appears set to remain from November to November, which many regard as curious, although if it is to be on a full-year basis it might just as well be as it is than change to January to December. Does it make sense the trainers’ title is prize-money-based when the jockeys’ is winner-based? Champions Day has its fans, but it has its detractors too, while the Champions Series, which starts on Guineas weekend and finishes on Champions Day – the new timeframe for the jockeys’ title – is at the moment an irrelevance. Jockeys are understood to have supported the change, although it is a certainty not all will have been in favour. One other thought in the wake of last week’s extravaganza at Cheltenham. The festival does not fall at the end of a season, but its profile just grows and grows. A race meeting should not need to mark the start or end of something to be important.